The Purdue student body may only know their marching band based on their rehearsals every fall semester down Third Street. Therefore, it may surprise even diehard fans to learn of their exploits outside of Ross-Ade—walking in the St. Patrick’s Day Parade last Saturday in Dublin, Ireland! As many students traveled near and far to celebrate their well-deserved break right before the arrival of finals, the Purdue Marching Band also packed their bags (and instruments and parents—oh, and the World’s Largest Drum!) for this historic event at the heart of the Emerald Isle. The invitation to attend was only received by thirteen other university bands to perform, two of which were outside the U.S. The almost 400 members of the Marching Band might have put on a dozen other performances abroad, but the St. Patrick’s Day Parade marked the first time the World’s Largest Drum was brought along to showcase Purdue and its band. Other monumental achievements the marching band has attended include the Macy’s Thanksgiving Day Parade in 2010, and an invitation to perform in China by China’s Ministry of Culture. The “All American” Marching Band has also been a central figure in the Indianapolis 500 race since 1919. The Dublin parade brought a sweeping end to the band’s weeklong trip in Ireland. After arriving on March 11th, the itinerary kicked off in Shannon, Ireland and continued to Galway, Bunratty Castle, the Ring of Kerry, and St. Patrick’s cathedral to name a few. Like all Boilermakers, the band represented the strength of Purdue students abroad and added yet another “first” to its impressive list of accomplishments. As you start planning your schedule for next semester, maybe considering adding one more credit to your course load. 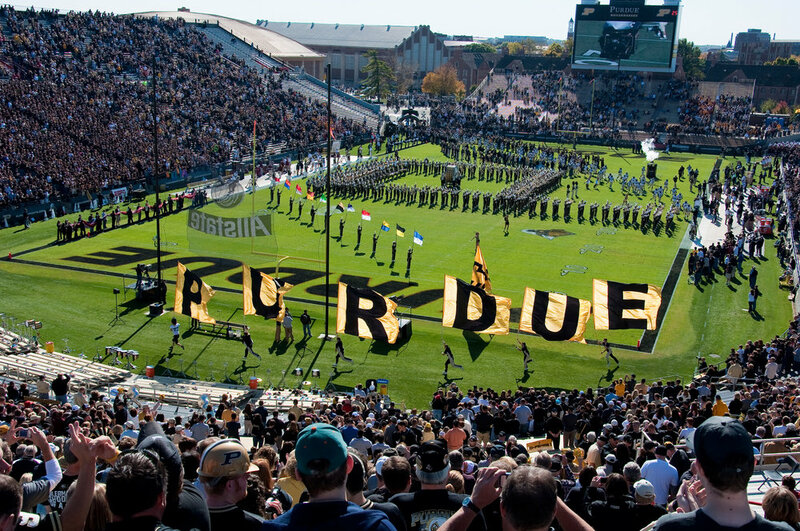 Purdue offers many one-credit classes that are not only easygoing, but interesting. And these easygoing, interesting courses range from Liberal Arts to Engineering. SCLA300 is a great way to bump your schedule up one more credit and an even better way to network. SCLA is run out of the College of Liberal Arts, meeting only once a week for 50 minutes. This class focuses on networking with alumni from the university. Alumni visit the class, share their success stories, and give advice that will help you have a success story of your own! Another incredible class to take is ME297, titled “How Stuff Works.” This course meets once a week and focuses on taking items apart and putting them back together. You’ll become familiar with everything from hairdryers to toasters—even locks! If you are feeling rather active, PES114 is the perfect schedule filler for you. This class, commonly known as Exercise and Conditioning, is a great way to get your exercise in and learn some new health techniques. The course includes body conditioning, swimnastics, relaxation techniques, and weight training. This course’s popularity increases each semester, as more and more students find out about it. Don’t be afraid to check if there are spots still available. If none of these three courses interested you, there are endless options. Other courses you may look into are Personal Finance (CSR105), Approaches to the Study of Interpersonal Communication (COM212), and Interior Flower Arrangement (HORT360). If you have questions or concerns, feel free to schedule an appointment with your advisor. They’ll be more than happy to help you find the perfect class to fit your schedule. The Indiana Commission for Higher Education oversees all public higher education institutions in the state of Indiana, and it contains one member that is a student of a public university in Indiana. This student sits as a voice for all Indiana higher education students. The upcoming term begins on July 1, 2018 and terminates on June 30, 2020. Candidates must submit applications, two letters of recommendation, and a signed agreement to serve by Friday, April 6, 2018. Applicants may be chosen for an interview in Indianapolis on Friday, April 20, 2018 at the Indiana Commission for Higher Education office. Thank you for your consideration in applying for this important position to serve the state of Indiana and represent Purdue. If you have questions, you may contact search committee member Ellen Praught at epraught@purdue.edu. Best of luck if you choose to apply! Purdue University is participating in the Student Experience in the Research University (SERU) survey—an opportunity for you to let us know what is important to you about your undergraduate experience, what is working well for you at the university, and what the university can improve upon. This survey was developed at University of California, Berkeley, and we are one of the major research universities participating this year. The SERU survey allows Purdue to see how we compare to other research institutes while providing a way for the university to see ways in which we need to improve to better meet student needs. Twenty-five minutes of your time could have a huge impact on our university, such as the creation of BGRi for international students, a new model for academic advising on campus, and the implementation of myPurduePlan—a web-based tool that monitors academic progress and aids in class scheduling. This survey could be an instrument in bettering both your time and your undergraduate experience here at Purdue University. Your answers will be held in the strictest confidence and will not be identified or associated with you individually.